I create wireframes to communicate ideas about user experience and illustrate digital interfaces. The illustration of wireframes occurs in a variety of forms depending on the needs of a project. I've created everything from low-fidelity, hand-sketched wires to high fidelity, detailed digital prototypes in programs such as Sketch, Axure and more. 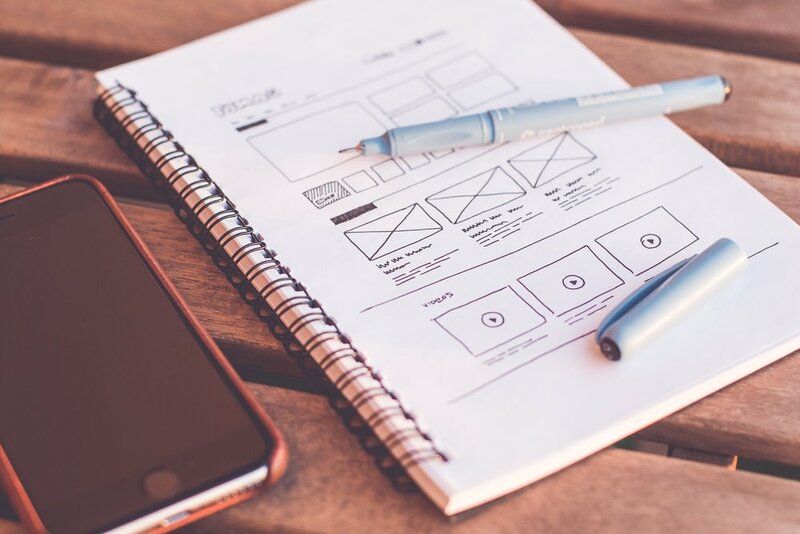 Regardless of the type of wireframe, the purpose remains the same: to help clients and project teams understand functionality, interactions, structure and content hierarchy. As part of a responsive redesign project for advil.ca, I developed a set of wireframes that acted as a guide for the site experience and interactions. 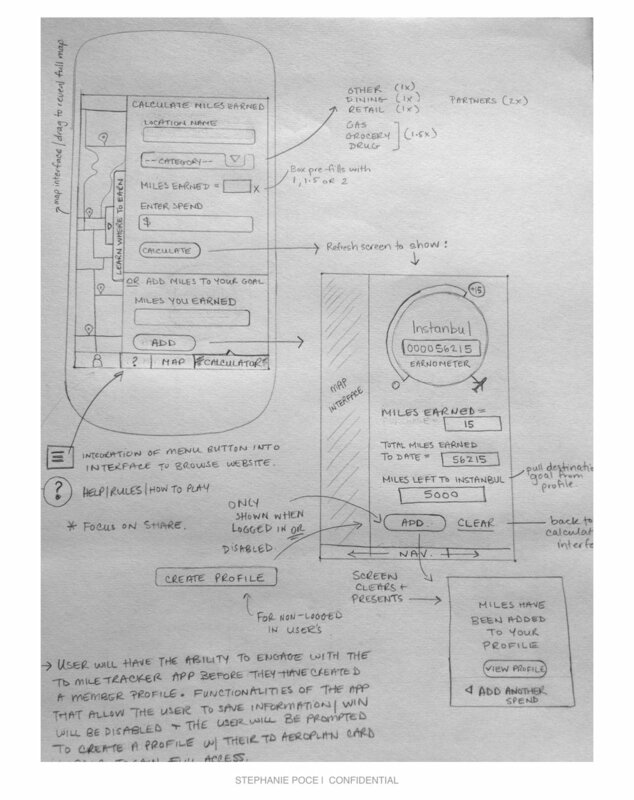 This is an excerpt from the product page wireframes in the smallest view (mobile). The wireframes were based on a user experience strategy that emphasized a modular, e-commerce approach to the site design and development. These wireframes show the device listing section of a B2B web-based device monitoring system. This section of the system presented challenges in the user experience. I had to design an experience that could scale content in columns and give the user the ability to refine and manipulate the content regardless of their screen size or device. 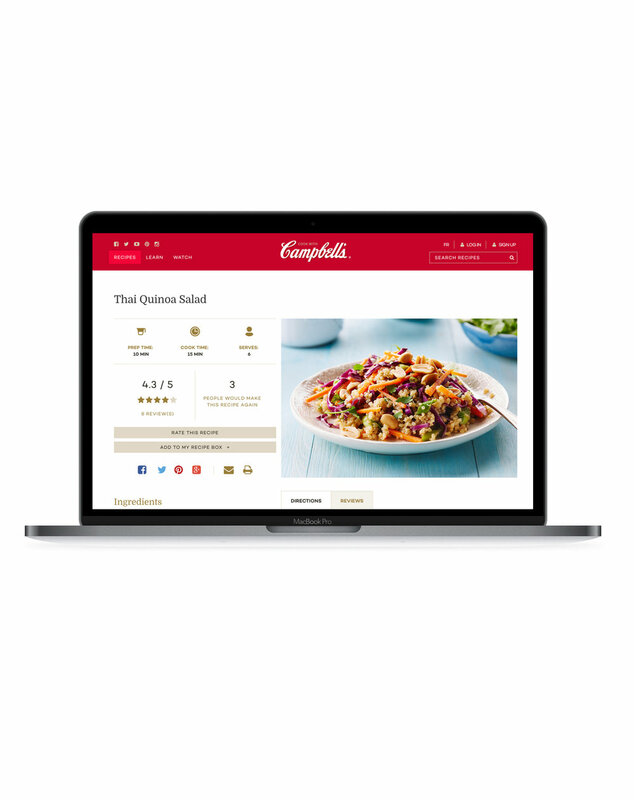 These recipe page wireframes (in the large view) are extracted from a document created for the responsive redesign of cookwithcampbell's.ca. This project presented the challenge of scaling robust imagery and recipe content across multiple devices while maintaining the integrity of the experience. The wireframes were informed by user research (interviews, personas and testing) and created with an emphasis on content strategy and the transformation of brand perception through the experience. As part of a campaign to advertise the partnership of financial institution and member rewards program, I worked on ideation for a mobile application to accompany the campaign. 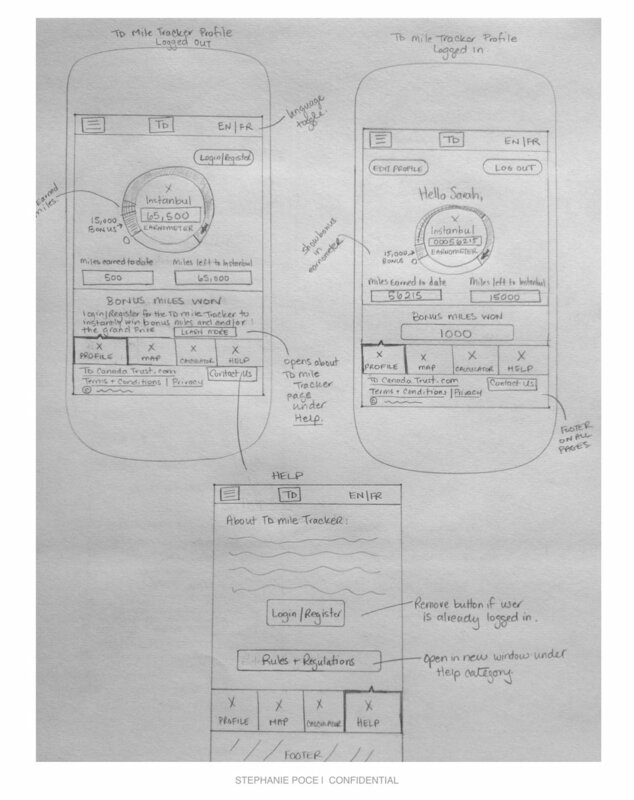 I sketched these wireframes to illustrate a concept that incorporated profile information, geo-location, goal setting, tracking and more.